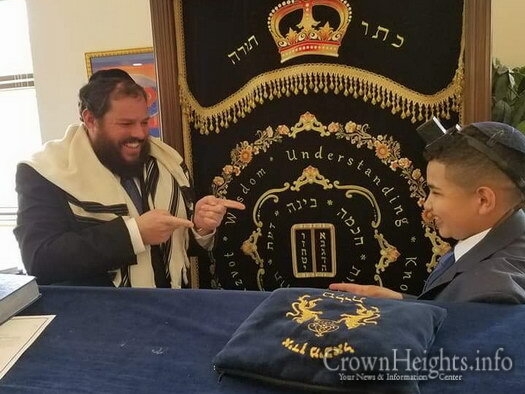 Aiden Axler of Highland Mills understands that reaching the milestone of celebrating Bar-Mitzvah means contributing to the world on a larger level. 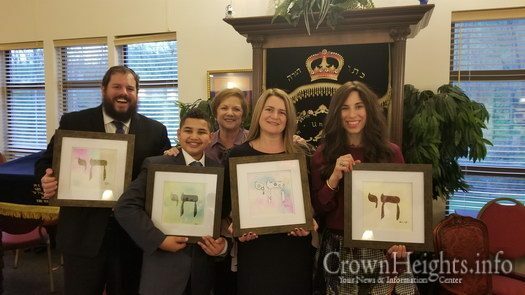 “I have created a set of artwork which I am donating to Chabad Hebrew School,” Aiden announced at his Bar-Mitzvah ceremony this past Thursday, May 10. Aiden’s art was displayed at his Bar-Mitzvah ceremony held at the Chabad Center in Chester and will remain at Chabad for all to enjoy. Four framed pieces featuring the Hebrew word “Chai,” which means “Life,” were created using various mediums with a hand-painted background. 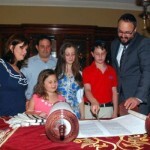 Rabbi Pesach and Chana Burston, directors of Chabad of Orange County, praised Aiden while officiating at the ceremony. Aiden also presented an original painting to his Bar-Mitzvah mentor, Sid Hershkowitz, of Highland Mills. The painting depicts a scene from Aiden’s Biblical Portion which he learned with Hershkowitz. Aiden Axler, 13, of Monroe, shows his original painting he created which depicts a scene from his Biblical Torah Portion. 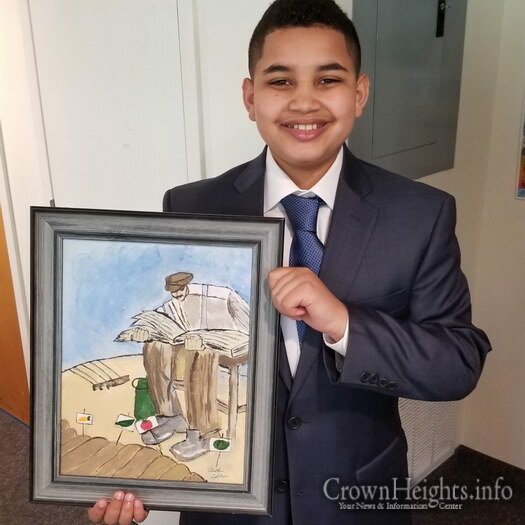 Aiden gifted the painting to his Bar-Mitzvah mentor, Sid Hershkowitz, of Highland Mills. 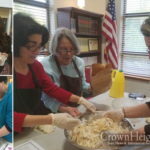 Several years ago, and I say this with ahavah love, rabbi Paiysuch with his Tantah Chana showed me what a yiddishket is all about. Plus I stayed overnight. Twice. 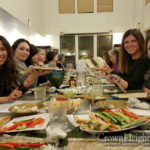 Theatre ahavat yisroel for all yid. So warm. I never got to thank them in person for helping me become a baalas teshuver IMY Especially with all the darkness of today versus yesterday it will never be the same without the Reebie mind you but Yiddish must stand strong? !